In 1809, marriage was the best a spirited, healthy, and intelligent girl could hope for, especially if she was an orphan without a fortune. Jennie Hawthorne has been hustled to London by her well-meaning aunt to secure just such a marriage, though Jennie despises the prospective wife parade and yearns for her childhood home by the North Sea. All that changes when she falls for the dashing soldier Nigel Gilchrist, marrying him after a whirlwind romance. Nigel wastes no time whisking his bride to the Scottish Highlands where he will serve as manager to the family estate. In Scotland Jennie is faced with the realities of the Highland Clearances: tenant cottagers forcibly evicted from their homes by lairds to make way for sheep and grazing land. When Jennie learns that both Nigel and his brother are complicit in such clearances, she finds her heart warring with her conscience. She defies Nigel and his brother, doing what she can to help the cottagers, and helping Alick Gilchrist resist the clearances. 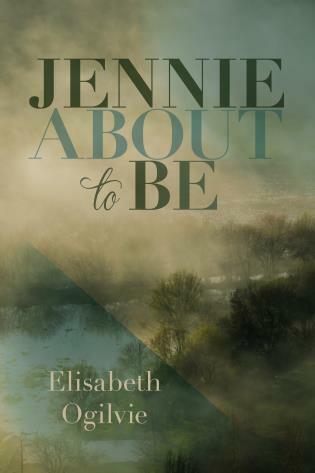 But their efforts bring disaster: a tragic accident makes Alick a hunted fugitive, and Jennie is compelled by circumstance to throw her lot in with his as they face an arduous journey across mountains to ultimately escape the strife-ridden Highlands. Elisabeth Ogilvie wrote 46 books including The World of Jennie G., Jennie Gilroy, and the Tide Trilogy. In 1947 she won the New England Women’s Press Association award for Storm Tide. Ogilvie grew up in the greater Boston area, but lived in Maine from 1944 until her death in 2006 and remains one of Maine’s best loved writers.